February’s Functional Food theme is fermented foods. Fermented foods, such as kimchi, yogurt, and sauerkraut, are preserved using an age-old process that not only boosts shelf life, but can give your body a dose of healthy probiotics. Probiotics are live microorganisms that are crucial for healthy digestion, so we’re proponents of incorporating fermented foods into our daily diets. Kimchi, a staple in Korean cuisine, is a dish made of seasoned and fermented cabbage. 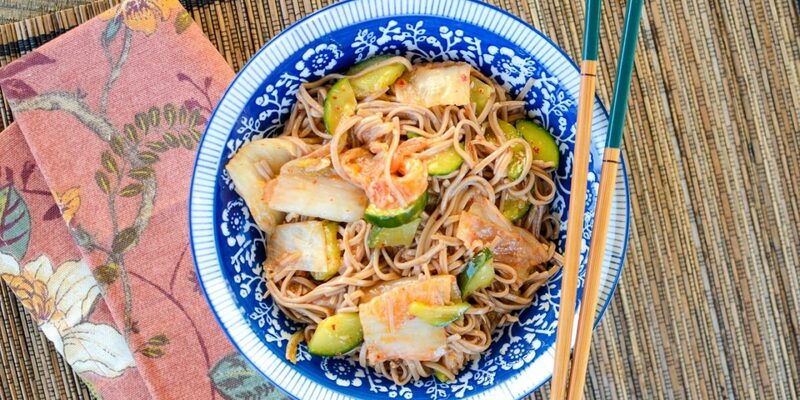 It’s typically eaten alone or with white rice, but we think kimchi adds dynamic flavor and crunch – and healthy probiotic bacteria – to our recipe for Soba Noodle, Kimchi, Cucumber Salad. 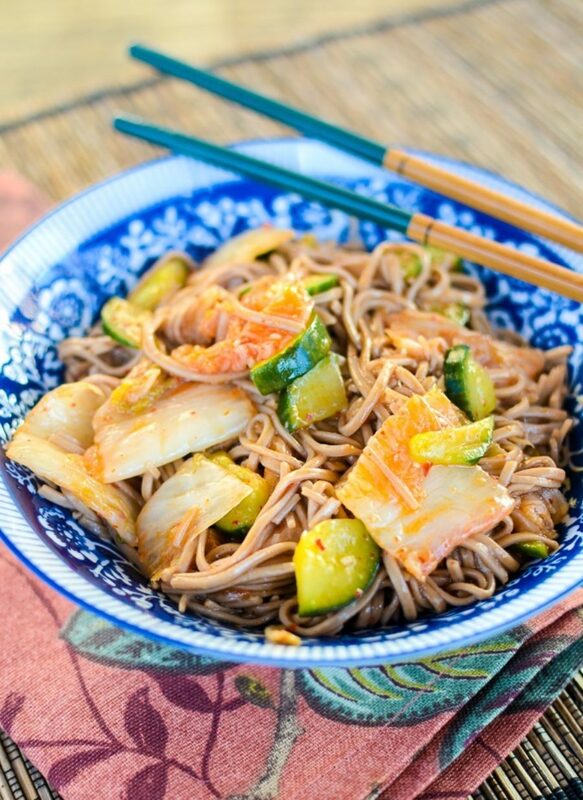 Kimchi adds dynamic flavor and crunch – and healthy probiotic bacteria – to our recipe for Soba Noodle, Kimchi, Cucumber Salad. Prepare soba noodles according to package instructions. Chill. In a large bowl, stir together salt, lime juice, orange juice, sesame oil, canola oil, and sesame seeds. Add in noodles, kimchi, and cucumber and toss with dressing until eveny coated. What We Were Talking About in 2018: What the FL*K Does 'Hospitality' Mean in the Digital Age? Have feedback or questions for our team? Email us at flikblog@compass-usa.com. Interested in working with us? Apply today!